Analogue Productions has followed up on their highly acclaimed series of 25 RCA Living Stereo SACDs with a smaller group of 9 Decca SACDs. (They are also releasing 25 more RCAs, including the Munch Daphnis and Chloe and Reiner Mahler Fourth Symphony.) Although the generally high sonic quality of Decca recordings (especially operas, such as the Solti Ring) has been noted, Mercury Living Presence and RCA Living Stereo recordings have received more emphasis. That situation has been partially addressed recently with Universal’s slow but steady stream of Blu-ray audio releases from Decca’s operatic and orchestral catalogs, the remarkable series of Decca operas featuring Mario del Monaco remastered in Blu-ray audio by Victor Suzán Reed for Universal Music Mexico, and now these Analogue Productions Decca SACDs. The recording sites for the Decca SACDs are the legendary Kingsway Hall in London (La fille mal gardée, Schubert’s Ninth Symphony, España), Royce Hall in Los Angeles (The Planets, Mahler’s Third Symphony), the Sofiensaal in Vienna (“Trout” Quintet), and Victoria Hall in Geneva (The Three Cornered Hat). Venues for the Bruch Scottish Fantasia/Hindemith Violin Concerto, and Albéniz/Frühbeck de Burgos Suite Española are not listed but since they were recorded in London in the 1960s, chances are they were done in Kingsway Hall. The infectious melodies and colorful orchestration of La fille mal gardée as conducted and arranged from the music of Ferdinand Hérold by John Lanchberry should be a delight for any music lover with even a remote interest in ballet. This Decca recording is a true audiophile legend, so its appearance on an Analogue Productions SACD should be an important event. It has never sounded better than it does here. 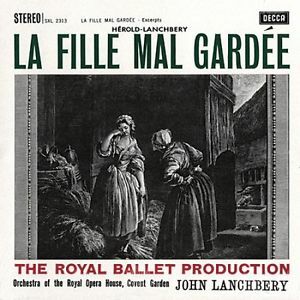 Along with the RCA Classic Film Score Series, La fille mal gardée is arguably the best demonstration of the amazing acoustics (for recording) of Kingsway Hall, characterized by its unique combination of silky sweetness, natural instrumental texture, and fine inner detail without ever sounding harsh or edgy. 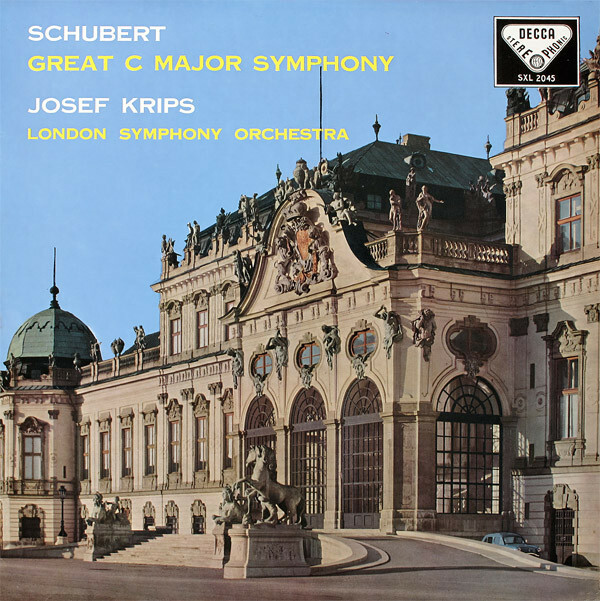 Recorded in 1958 in Kingsway Hall, Josef Krips’ performance of Schubert’s Ninth Symphony is not controversial. Tempos are consistently slow to middle of the road, emphasizing Schubert’s melodies, which blend gorgeously with the open and airy sound. My one complaint is that the fourth movement pretty much remains earthbound because of the slow tempos. Still, this is a safe bet as a reference recording of Schubert’s Ninth Symphony. The original Decca LP entitled España, which contains Rimsky Korsakov’s Capriccio Espagnol, Granados’ Andalusia, Chabrier’s España, and Five Spanish Dances by Moszkowski played by the London Symphony Orchestra conducted by Ataulfo Argenta was designed to be a sonic showpiece. The performances are all excellent, but not at all garish or overdone. In fact, Capriccio Espagnol and España lack sizzle when compared to Antal Doráti and Paul Paray, recorded by Mercury in the same general time period. David Oistrakh’s recording of Bruch’s Scottish Fantasia has been well received, but I prefer Heifetz (Analogue Productions RCA) and Kyung Wha Chung (Decca, also recorded in Kingsway Hall). Oistrakh’s Hindemith Violin Concerto is a treasure. The sound is good, but not on an audiophile level because of some edgy high frequencies, especially the closely miked violin. Albéniz’s Suite Española has undeservedly stayed under the radar. Rafael Frühbeck de Burgos’ orchestral transcriptions of Albéniz’s captivating melodies are colorful but always tasteful. The recording should be an important discovery for listeners interested in classical Spanish music. The sound serves the music just about perfectly. This SACD is sonically electrifying. Zubin Mehta’s sensational interpretation of The Planets is probably the most famous (among audiophiles) of his excellent series of recordings with the Los Angeles Philharmonic Orchestra. The performance itself is probably as good as any, and the sound, highlighted by a powerful, warm, and deep organ, is magnificent. The pedal effects at the end of “Saturn” are stunning. Mehta has made a specialty out of Mahler’s Third Symphony. The massive first movement, with its outstanding inner detail of the lower registers of the orchestra, may be the best ever recorded, especially if you are primarily considering the sound. I was initially captivated by the sound of the sublime final movement, but Mehta’s insistence on accelerating the tempo at the climaxes detracts from the performance as a whole. The timpani at the end and the final sumptuous chord have never sounded so good on a recording. Though Schubert’s “Trout” Quintet is obviously not a sonic showpiece, it was probably a good idea to include some well-known chamber music in this group of recordings. The instruments of Clifford Curzon and the Vienna Octet are timbrally correct, but the dynamic range is so wide and the performance so dramatic that, exciting as it may be, this does not really evoke the sonic image of subdued Schubertian lyricism. Falla’s The Three Cornered Hat is not frequently recorded complete, so this sensational performance by Ernest Ansermet conducting L’Orchestre de la Suisse Romande is special. The music initially explodes out of the speakers and continues unabated to the end, a true and underrated sonic spectacular. As with other Analogue Productions SACDs, the packaging is bare bones at best, and the recordings contain the original contents of the LPs, which is not very much for $30. The individual recordings are a bit of a mixed bag when you consider the sonic and interpretive merits of Decca’s vast catalogue. There are no bad performances here, but the Decca catalogue contains numerous classic performances with great sound if Analogue Productions decides to continue this series as they are doing with their RCA Living Stereos.